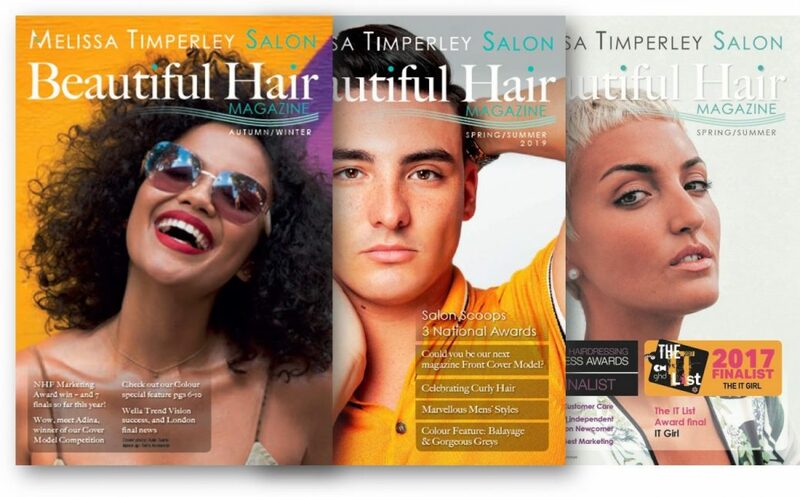 Recently a journalist wanted to know what a typical week looks like in our Manchester Hair Salon. Now we’re into the second half of our first year, it was a great opportunity to take stock. 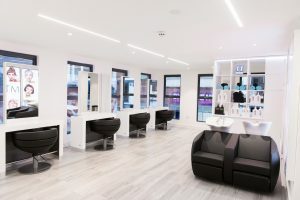 Not all weeks are the same, and that’s part of the fun of being such a popular Manchester Hair Styling Salon. Here are some highlights from a recent week and what Melissa, in particular, got up to. Lovely sunny start to the week, and it was great atmosphere in the Manchester Hair Salon as always. To begin the day week we had an interview with a new senior stylist and running an Apprentice training session. 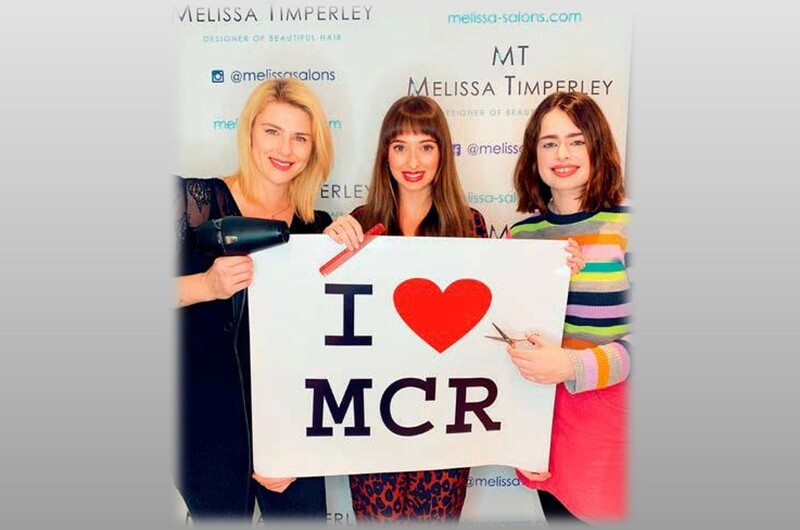 It’s so great to see the Manchester Hair Salon team expanding in response to our growing client base. Later on, there was a different sort of Monday Blues (!). 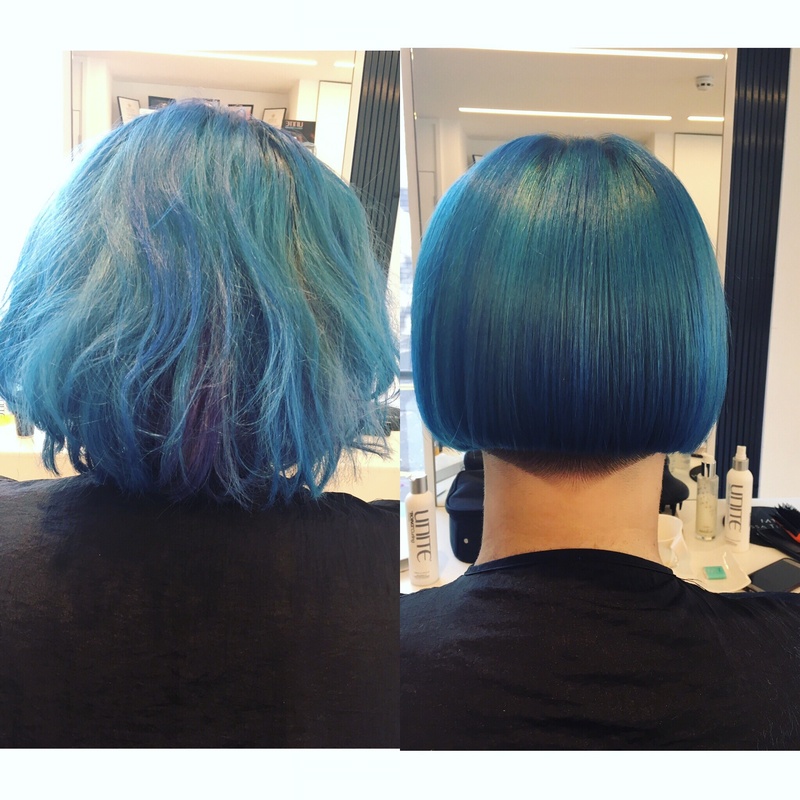 One of our clients wanted a tidy up of her blue bob and left the salon highly delighted, we also love a pink bob too. 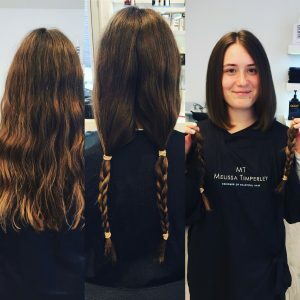 In the afternoon, we had an inspirational young lady come in for a cut in order to donate her hair to the Little Princess Trust. It’s such a fantastic cause, and we’re always happy to help. We follow the Trust’s guidelines to ensure they get the hair they need for their fantastic wigs. We give these to the children who have lost their hair through cancer or other medical treatments. A lovely busy day at our Manchester Hair Salon with a full roster of clients. As well as a mix of cuts and colours, there were a couple of balayage appointments. 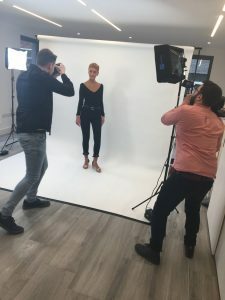 Late afternoon, two models came over for a photo shoot and I rounded off the day finishing off one of the team’s Award submissions for the British Hairdressing Awards Best Client Care and Best New Salon categories. 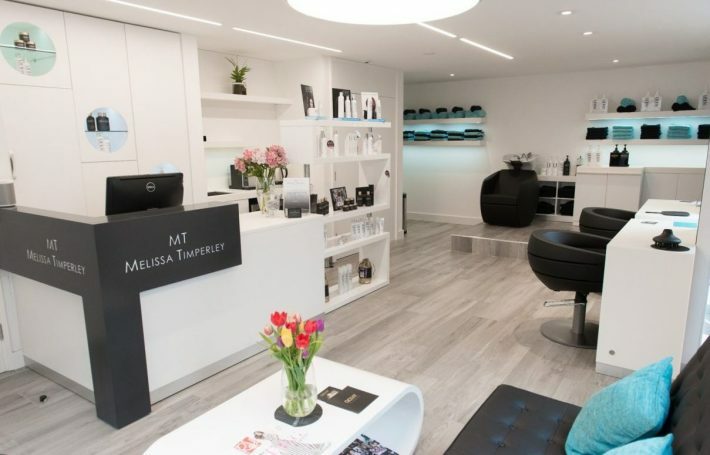 It was nice to reflect on why we feel the Melissa Salons’ approach is so special. Our clients tell us they feel they get complete one-to-one attention from us. 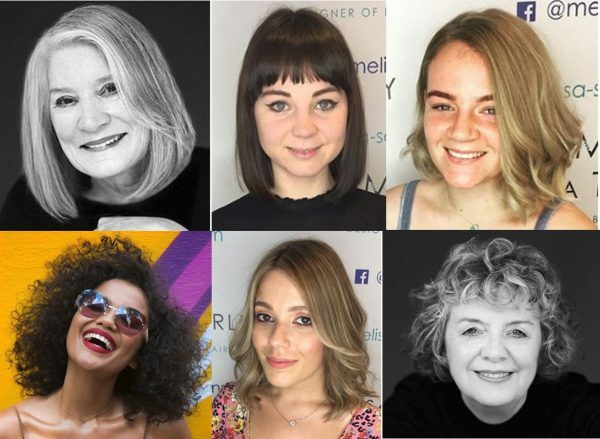 They appreciate their Senior Hair Designer stays with them for the whole of their salon journey, from the meet and greet at reception, to the backwash, the chair and the final advice at reception before leaving. Started the day with a wedding hair trial. The bride and bridesmaids were so excited, and the pictures of their dresses looked stunning. We used the trial to test that the hairstyles they wanted would accentuate their features, dresses and be able to withstand the planned open-top carriage ride to the church! Following this appointment, 2 actors joined us from nearby Media City in Manchester. The actors were after a particular look for a documentary they are filming. They were really pleased with the results and said some lovely comments as they left. 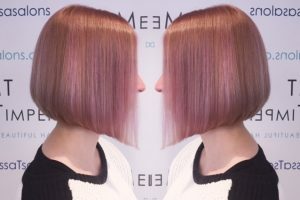 In the afternoon a couple of clients came in for big colour changes. It was great to see how delighted they were with their new looks. We were really grateful they let us take some fabulous before and after shots for our portfolio and social media. Thursday is our late day with a finish at 9.30pm at the Manchester Hair Salon, but it’s really important to give clients this flexibility. We have one-hour appointments for cuts and blow-dries so that no client feels rushed or pressured. 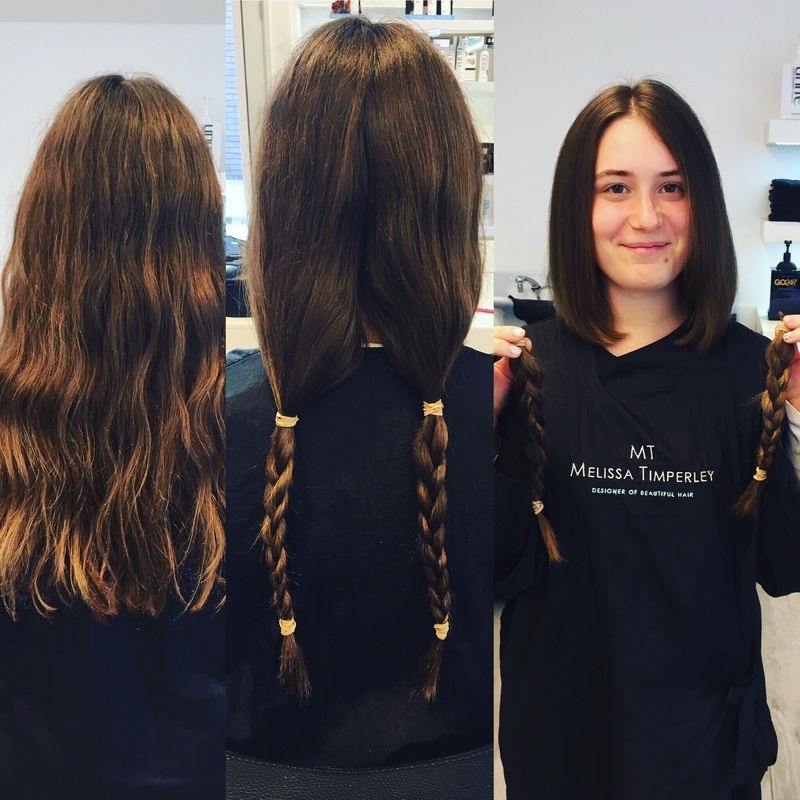 We want them to really enjoy the experience of being listened to, and having their hair styled exactly as they want. There were lots of different styling requests today from precision cut ladies’ bobs to gents’ trims. We’ve also seen a big interest in the pink hair colour and the new pink blush look. All in all, it was a long but rewarding day, which we finished with a full salon clean! Another full on day in the salon, which started with a hair styling assignment for a photographer doing a magazine cover shot. Our third-floor studio is proving really popular for these photo shoots. Throughout the day the Manchester Hair Salon stylist team were all kept nice and busy. 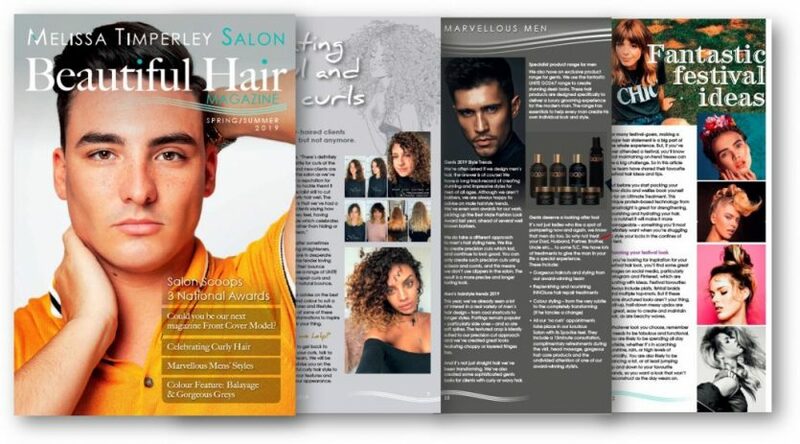 We’re definitely starting to see an appetite amongst clients for summer hair styles, as students finish Uni and are also looking towards Graduation Days. Started at 8 am for our Manchester Hair Salon weekly team meeting. We had a busy day with lots of clients booked in today, but the whole team are always firmly committed to giving each of them our individual attention and a fabulous client experience. There were quite a few brand new clients today. A number of the clients clearly loved the luxury, spa-like feel of the Salon. We have lots of space between styling stations, which create a feeling of exclusivity and privacy. Our German ergonomically-designed chairs contour the body to give support and comfort. Our chairs have matching backwashes which give additional medically approved neck supports. This support prevents strain/pressure on the neck. Additionally, we can raise our clients’ legs so they can experience ultimate comfort. 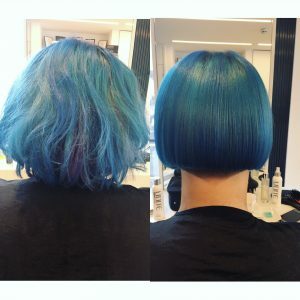 In fact, two of today’s clients are well-known bloggers – one new to the salon who wanted to test out our approach with a cut and colour. clients were really impressed and shortly afterwards the clients posted lovely reviews on Google. We couldn’t have been more pleased. A day of rest (lovely!) and time to catch up on the week’s accounts!!! 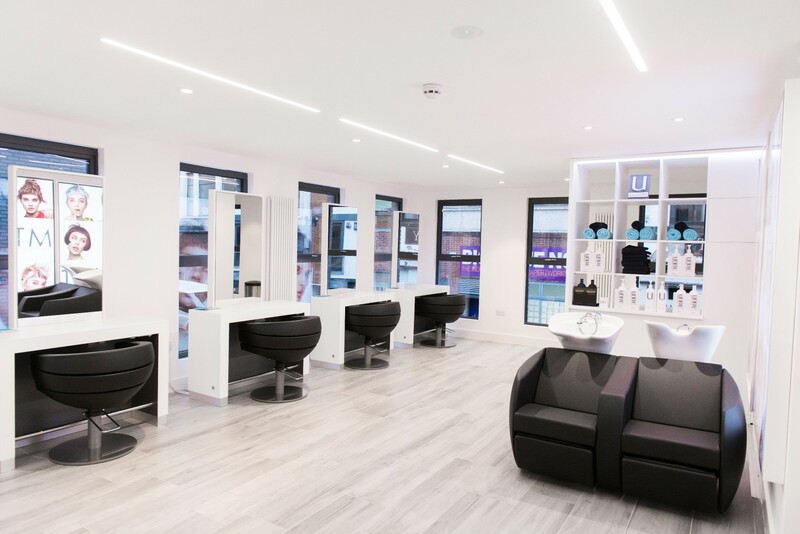 If you’d like to come and experience our exceptional hair salon client experience in the heart of Manchester, why not book a consultation? We’d love to see you.